Pictures for illustration purposed only, colour and configuration may vary. 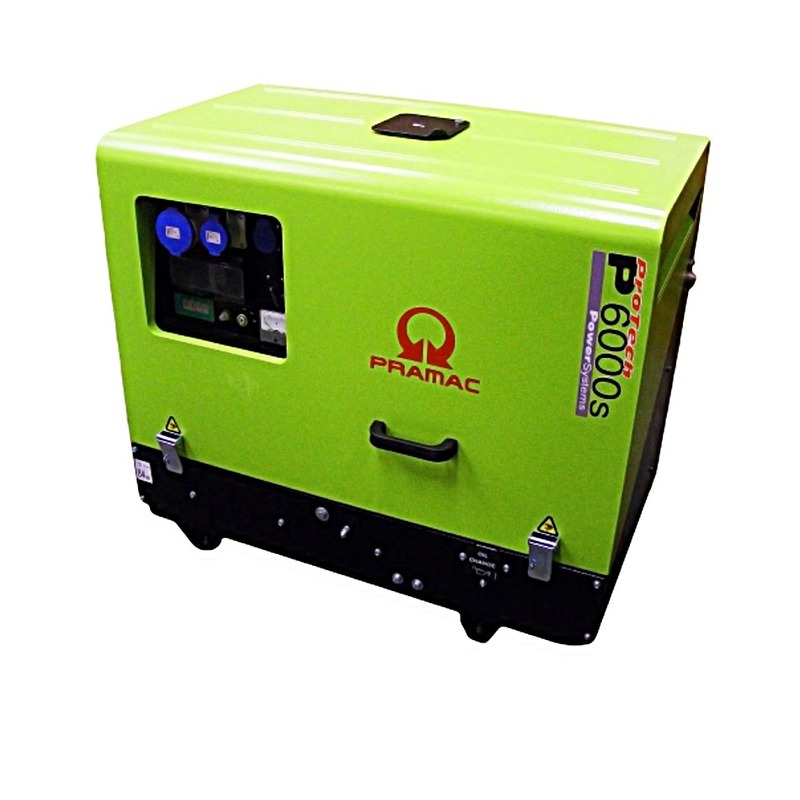 The Pramac P6000s has a very low noise level, it is the ideal generator to use in quite areas i.e residential and being a good robust generator it is also ideal for rental market. It's equiped with a reliable Diesel engine, first class conponents and complete instrumentation. An excellent all round quality set, please do not hesitate to contact us for advice. 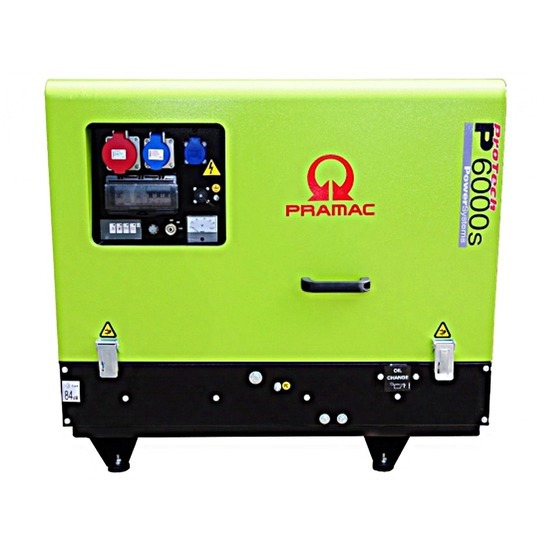 COP - Continuous Power: It is defined as being the maximum power which a generating set is capable of delivering continuously for an unlimited number of hours, with the maintenance intervals and procedures being carried out as prescribed by the manufacturers. 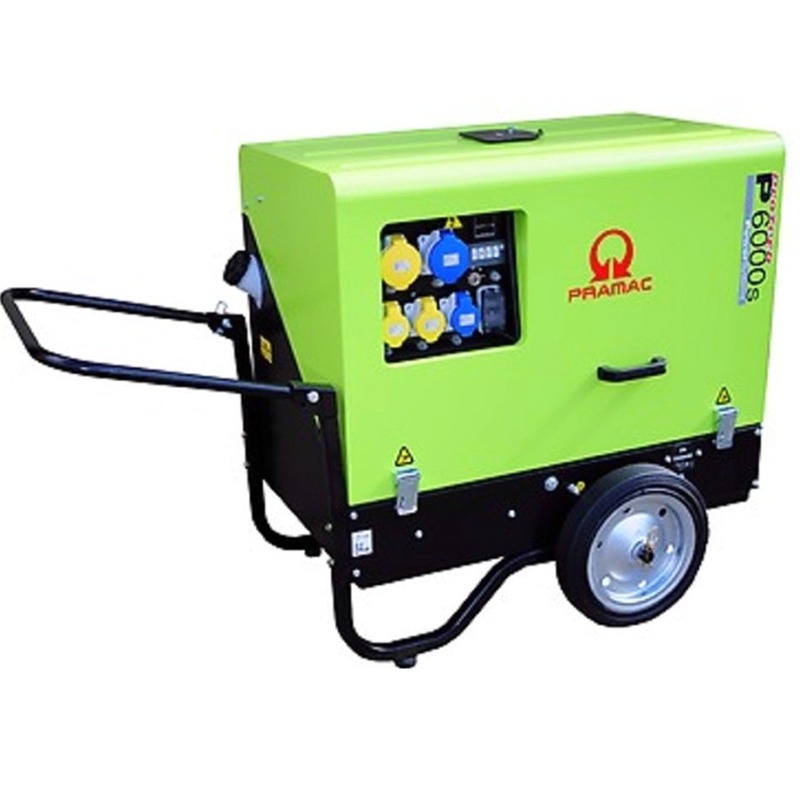 LTP - Limited-Time running Power: It is defined as the maximum power available, under the agreed operating conditions, for which the generating set is capable of delivering for up to 500h of operation per year (whose no more than 300 for continuative use) with the maintenance intervals and procedures being carried out as prescribed by the manufacturers. No overload capability is available. Why buy from an authorised dealer? You are buying a brand-new, Genuine Pramac Generator. 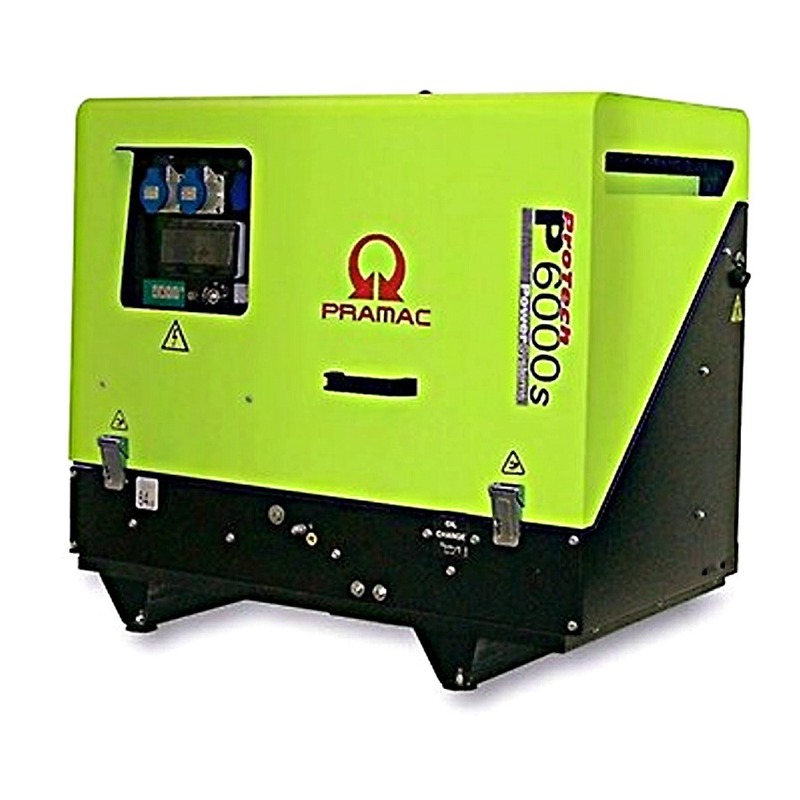 Your generator will be covered by Pramac's UK warranty. Any servicing or repair work will be conducted by experienced personnel. • AMF • RCD • E-Stop • Factory Fitted Trolley Kit • Bunded Base Tank • Remote Start Options. 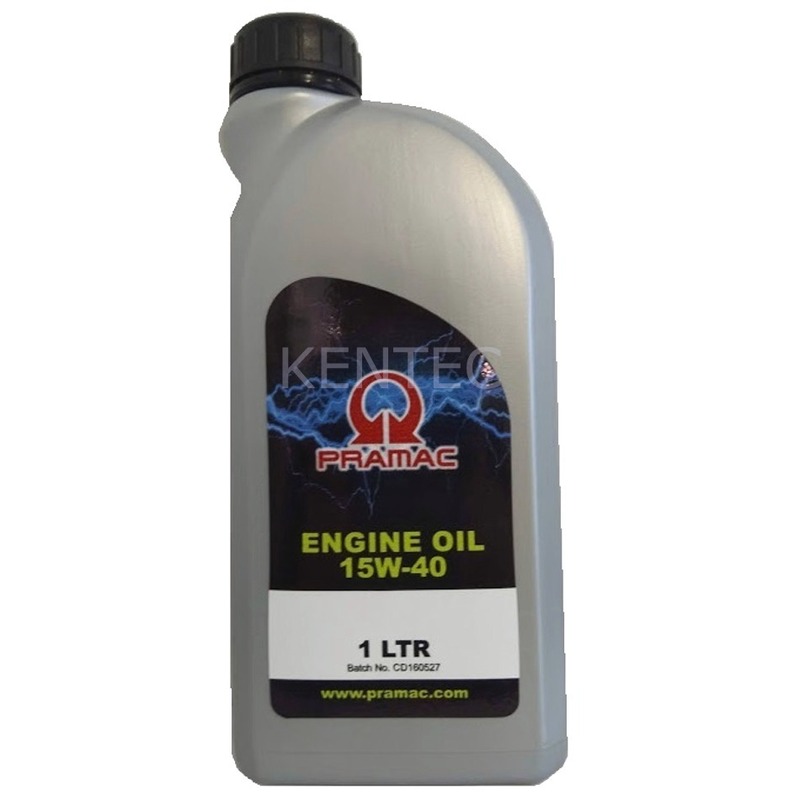 Engine Protection unit: High engine temperature; Low oil pressure; Low Fuel Level; Battery Charger alternator failure.